With less than two weeks left until we see the Samsung Galaxy Note 5 with us, leaks have started to occur on Samsung’s phablet on a regular basis. 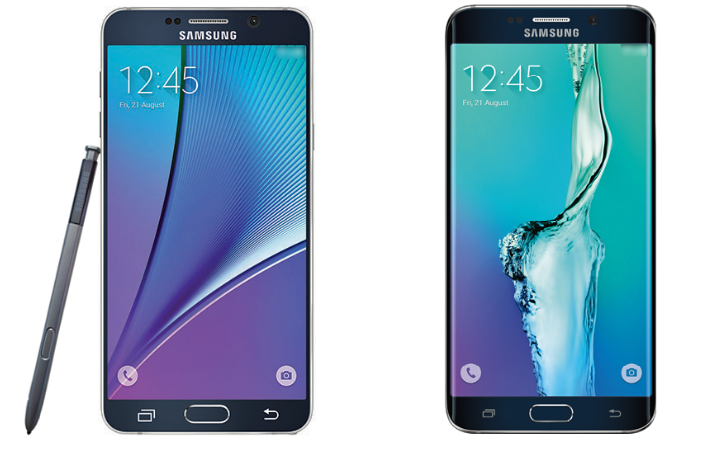 After we saw the device’s specs leak earlier today, courtesy of evleaks, now we have some very official looking press renders of both the Samsung Galaxy Note 5 and the Galaxy S6 Edge Plus get posted by him as well. After we saw Onleaks provide us with details about several devices yesterday, looks like his counterpart evleaks is eager to be not left behind at all. He’s managed to get his hands on what appear to be some official press renders of the Galaxy Note 5 and the Galaxy S6 Edge Plus, both of which are expected to be launched by Samsung on August 13th, in less than two weeks. Both the devices, as we’ve been telling you so far, come with identical screen sizes and a nearly identical design as well, if we take a look at the images above. The proximity sensors and the front camera are in identical positions on both the devices’ front, and the metal design that we saw the Galaxy S6 Duo get launched with earlier this year also seems to have been retained. Other than this, there’s nothing more than we can learn from today’s leaks, given that they only show one angle of the device. The Samsung Galaxy Note 5 and the Galaxy S6 Edge Plus are both expected to come with 16 MP rear cameras and 5.7 inch screens. In terms of launch availability, both the devices are expected to make a debut here in the US, so you’re covered there. As for users around the globe, there’s nothing for sure yet, so keep your fingers crossed. Processor wise, the Note 5 is turning out to be the more interesting option so far, with the Exynos 7422, while the Galaxy S6 Edge Plus has seen both the Snapdragon 808 and the Exynos 7420 mentioned. Stay tuned and let us know what you think in the comments section below.